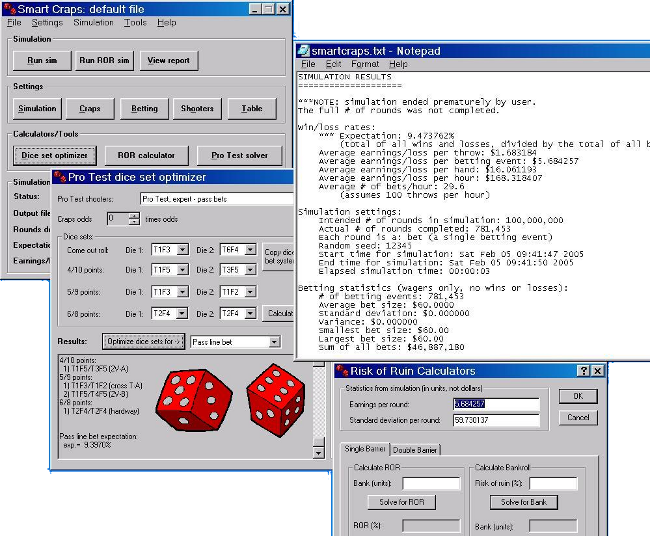 The Smart Craps Roll Recorder is the ultimate mathematical software program for recording dice rolls and determining your skill in craps. Find out if you can influence the dice, and make a profit at craps! Designed to work hand-in-hand with Smart Craps. The Smart Craps Roll Recorder is a fundamentally new way for dice controllers to prove they can get a edge in the game of craps. Using our new Pro Test statistical method of dice control measurement, you can find out if you have an edge in as few as 500 rolls! The Roll Recorder can be used alone, or in conjunction with Smart Craps. 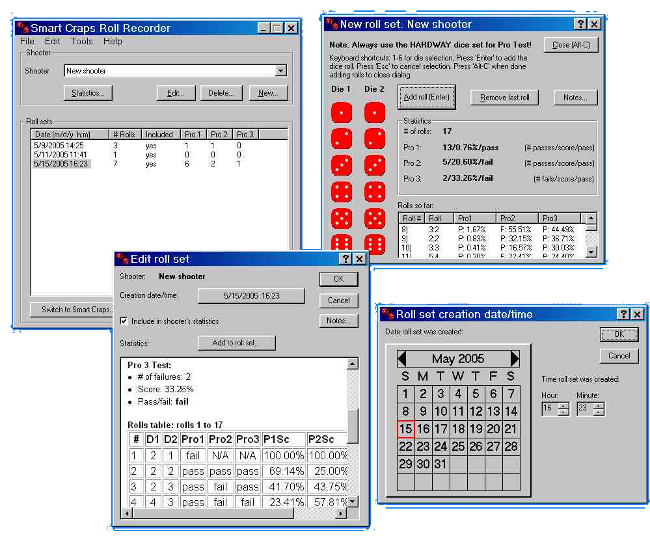 Note: the Roll Recorder is already included in Smart Craps Professional.